My mother came into town Friday for a short visit. She and my dad live in Huntsville, which is about 2.5 hours away — the right distance for nice weekend getaways. 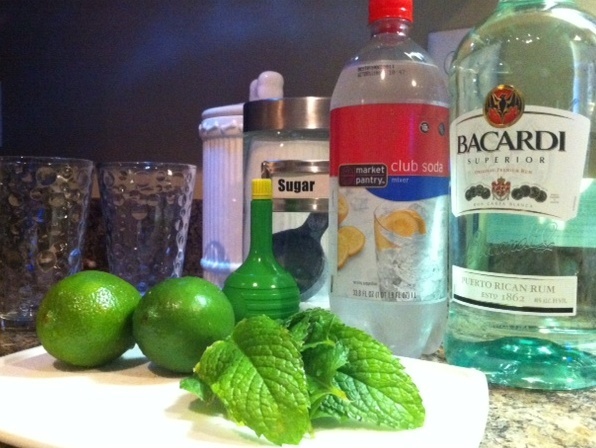 While my mom is not much of a hard liquor drinker, I still wanted to try to make mojitos. 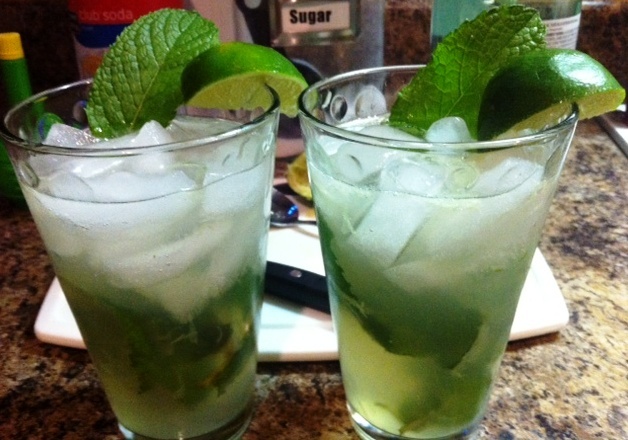 It’s one of my favorite summer cocktails – cool, refreshing and not too sweet (so I can stand to drink more than one!). 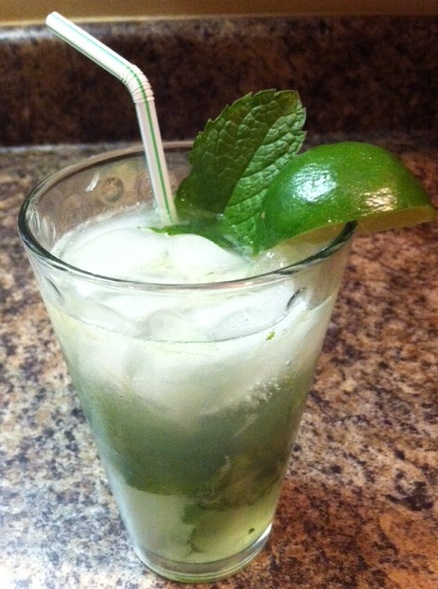 The amount of, and maybe the type of, simple syrup and club soda can make or break a mojito. This recipe I adapted from We Heart Minnesota skips the simple syrup all together, making it a rather low cal drink. Wash and divide the mint leaves, saving two pretty leaves for garnish. Put in each glass and muddle. Since I don’t have a mint muddler, I tore the leaves in half and used a fork to sort of stir and press the mint. I try to keep my kitchen contraptions to a minimum, but considering how much I love this drink, I may just need to get a muddler. Wash the limes and cut each in half. Squeeze the juice of half a lime into each glass. If you desire more lime, squeeze more lime, or like lazy, thirsty me, add some store-bought lime juice. Other than washing the mint (I get worried I’m bringing in some ants or other yucky bugs), this is what takes the most time. If you were to make you’re own simple syrup, I think that’s what’ll eat up your happy hour. Stir in one teaspoon of Splenda into each mixture. Fill glasses with ice. I used a shot and a half in each drink (I like mine a bit strong). Top off with club soda and stir. 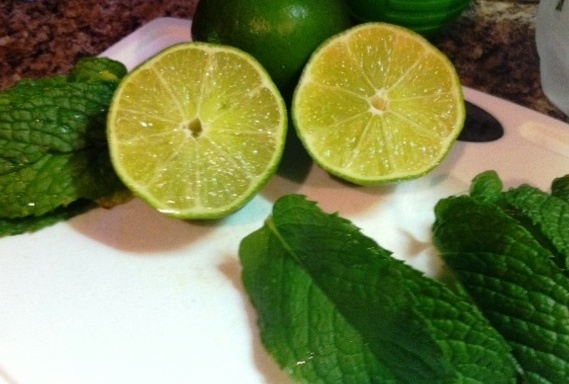 Garnish with lemon quarter and mint leaf.